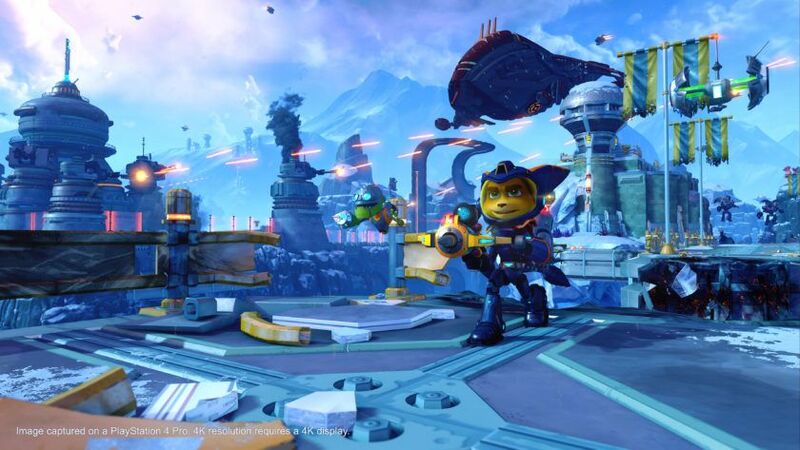 Ratchet & Clank on PS4 is a culmination of everything Insomniac has done with the series over the past 14 years. It is one of the most charming, creative and rewarding adventures in recent memory. The PS4 version is a full remaster from the ground up so it’s essentially a remake of sorts (much like ratchet and clank) rather than a straight remaster or reboot. We were actually amazed by how they managed to make a game feel so retro and beautiful at the same time. Usually, these kind of games look so retro you wouldn’t notice they are current-gen or so realistically detailed they don’t keep the essence of the original art style. This reminds us of how video games are meant to be. Having a lot of companies making shooter games yearly and only change skins changed the entire idea of video games and made it worse that what video games should be. “For our Spider-Man project we’re really working as hard as we can to build a really rich, detailed version of New York City and the amount of detail and improved fidelity you can get on a 4K display – especially a 4K display that has HDR – is pretty stunning. It’s a real step forward. That’s what we’re most excited about. Let us know your thoughts about the return of Ratchet and Clank to the PS4 Pro in the comments.